Richard V. Rancher, 91, of Sheffield Township, died Tuesday December 11, 2018 at Wesleyan Village in Elyria after having lived a long and full life. 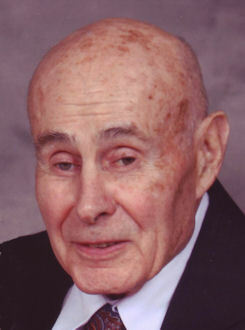 He was born May 6, 1927 in Lorain and had been a lifelong Lorain area resident. Richard graduated from Clearview High School in 1945 and then enlisted with the US Navy serving as a Seaman Second Class toward the end of World War II. He worked at Calvary Cemetery in Lorain as a grave digger and grounds maintenance person and then worked for Clearview High School as a maintenance person, bus route scheduler and basic electronics teacher. He retired from Lorain County Savings & Trust where he oversaw grounds maintenance at several bank branches. Richard enjoyed playing golf, bowling, gardening, traveling and spending time with his family. He was a member of St. Vincent de Paul Catholic Church in Elyria Township. He is survived by his children: Barbara (Scotty) Alexander, Christine (Anthony) Manfredonia, Jeff (Kathy) Rancher, Deborah (David) Cruz and Mark (Robin) Rancher; 8 grandchildren and 9 great grandchildren with a 10th on the way. He was preceded in death by his wife of 69 years Dorothy M. Rancher (nee Zilka) on March 9, 2017, parents Edward & Arvilla Rancher (nee Klein) and 2 brothers and 1 sister.